After all, we’re here to help all of our New Hampshire customers with their automotive issues: from Stratham to Portsmouth to Exeter and beyond. Contact BMW of Stratham today to set up your appointment! Transmission fluid is a slippery, low-viscosity liquid that lubricates the incomprehensible number of moving parts that make your transmission tick. 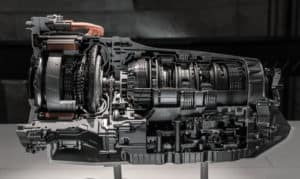 From the torque converter or the clutch to the gears themselves and beyond, transmissions have a host of whirring parts that need to play nice together. Automatic Transmissions. It should be no surprise that ATs use automatic transmission fluid. Manual Transmissions.On the other hand, however, MTs can use a variety of substances, from traditional motor oil to heavyweight hypoid gear to automatic transmission fluid. It all depends. What’s The Importance Of Changing It? 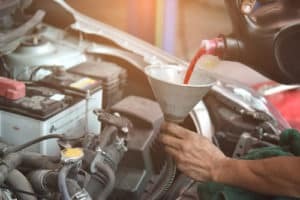 If you don’t change your transmission fluid, you’re going to have a variety of issues, depending on which type of equipment your vehicle is running (i.e. automatic or manual). Here’s a breakdown of the issues. Automatic Transmissions. These produce a lot of heat, which can actually degrade and break down your fluid over time. Degraded automatic transmission fluid won’t lubricate all those parts properly, so you’d better schedule an appointment if you’re overdue on your maintenance schedule. Get in touch with us! Manual Transmissions.While the fluid won’t degrade like above, it will become contaminated with bits of shaved-off metal from your manual transmission’s various parts: synchronizers, bearings, gears, etc. Contaminated oil doesn’t lubricate as well as clean oil, so reach out to us to schedule your appointment. Last, but certainly not least, we’ll share a few tips on how you can check your transmission fluid yourself. Automatic Transmissions. This is a cakewalk – just pull out the dipstick and look for the consistency. Make sure that you do this while the engine is warmed up and the vehicle is safely in park. Manual Transmissions.This is so difficult to check on your own that it’s almost in possible. In fact, for most makes and models, you need to have a car up on a lift in order to check it. So, call a mechanic! We’ll conclude by offering you an expert tip – your transmission fluid won’t burn up in the same way as your engine oil. So, if you check the dipstick and the levels are low, that means that it’s probably leaking. In that case (or in any other case), our guys and gals can help. Just schedule service online in a few clicks. BMW of Stratham is here for all of our customers in Exeter, Portsmouth, Stratham, and the surrounding communities.